The WS Athletes' Commission represents the views of the Olympic sailors directly to WS. 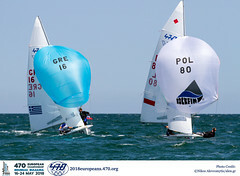 With sailors representing the Olympic events, you can be sure the individual views of the sailors in each event can be voiced as well as hearing the collective view. Jo Aleh (NZL) is currently the 470 representative in the Athletes' Commission. 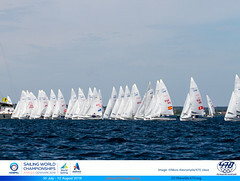 You can enter all 470 Championships online. All you will need are you and your crews details. Payment may be made by paypal or bank transfer. Once you have entered a 470 Championship, we will require validation by your National Class Association and receipt of entry fee prior to confirming entry. Don't forget we operate an early bird entry system, so enter early and benefit. Take a look at all past 470 Championships while future Championships are on the Calendar and on the Championship Organization Plan. The WS website contains the latest information on Anti-Doping. The Prohibited List is published by the World Anti-Doping Agency (WADA) and is the International Standard identifying Substances and Methods prohibited in sport. Substances and methods are classified by categories (e.g., steroids, stimulants, gene doping). "1.6 - To be eligible, competitors shall comply with the eligibility rules of WS Regulation 19. In addition, each crew member of a competing boat shall be national or ordinarily resident of the nation where the National Authority the crew intends to represent is established. This requirement does not apply to the Masters Cup, where crews of mixed nationality may participate upon approval of the Management Committee/ Only crews in good standing with the International 470 Class Association can participate. 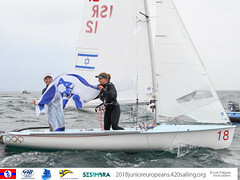 For the World Championships and the Continental and zone Championships, each crew member, and for the Junior Championships and the Master’s Cups, at least one member of each crew, shall be member of a National 470 Class Association, affiliated to the National Authority, or of the International 470 Class Association where there is no National Association in the concerned country. Boats shall comply with the Class Rules and have a valid measurement form. The Management Committee is the entity in charge of taking final decisions about eligibility of crews and boats." However, for WS Championships and the Olympic Games, the nationality requirements are set out by WS and the International Olympic Committee respectively, and are detailed in the WS Regulations, specifically Regulation 17.5.